I got something right and something wrong, for better or worse. Posted byChrister van der Meeren	 March 15, 2016 February 3, 2019 2 minutes to read	Leave a comment on Did Twilight Princess HD meet my pre‐​play expectations? 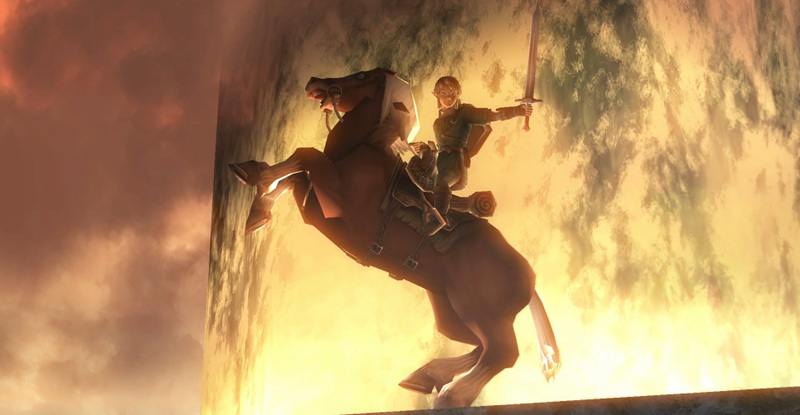 Recently, before starting Twilight Princess HD, I laid out some expectations for what I thought I would feel about certain aspects of the experience. I’m now about halfway through the game (just arrived in the Gerudo Desert), and I feel I have seen enough of the game to comment on whether I was right or wrong on the various points. Though I wouldn’t say I’m thrilled, I am indeed enjoying the experience. It’s absolutely gorgeous in HD. I’m not thoroughly confused by the mirroring of the game world. That’s due to a combination of 1) me being able to mirror parts of the world and local gamespaces in my mind, 2) me not remembering the lefts and rights as thorougly as I thought, and 3) the mirroring not really mattering that much anyway – after all, the game is fully playable for newcomers with no previous experience with the game world. Hunting Poes is still just as annoying. I had been misinformed regarding the Ghost Lantern – it doesn’t make Poes appear during the day, it just lights up if there are Poes nearby. I still have to wait for night, which means quite a bit of killing time during the day (at least when first getting the Master Sword, at which point you can immediately get almost 30 Poes before advancing the main storyline). I’m continually updating my Twilight Princess optimal equipment guide. Mostly it’s just slight edits to descriptions and ordering, but I’ve also added the Ghost Lantern (which, as I guessed correctly, you get from Jovani after 20 Poe Souls). I’m not THAT annoyed by the Miiverse stamps. The experience would be better without them, to be sure, and they’re especially annoying when I open a chest I know contains 100 rupees only to get a pointless stamp, but mostly I’m just scowling for two seconds before doing an annoyed “whatever” and playing on. My 42″ TV is indeed way too small. The experience truly is much more immersive when sitting 1–2m away on a chair instead of 4m away in the sofa. I do miss the sofa, though. Also, I’m rather far away from the “sweet spot” of the surround speakers. And if there ever was a definition of First World problems, that was it. I don’t notice much in the way of lacking audio quality, just as I predicted.